Shade structures have become an integral part of public spaces such as children’s play areas in parks, public swimming pools, schools, and childcare facilities. It is increasingly important to protect ourselves and our children from the sun. 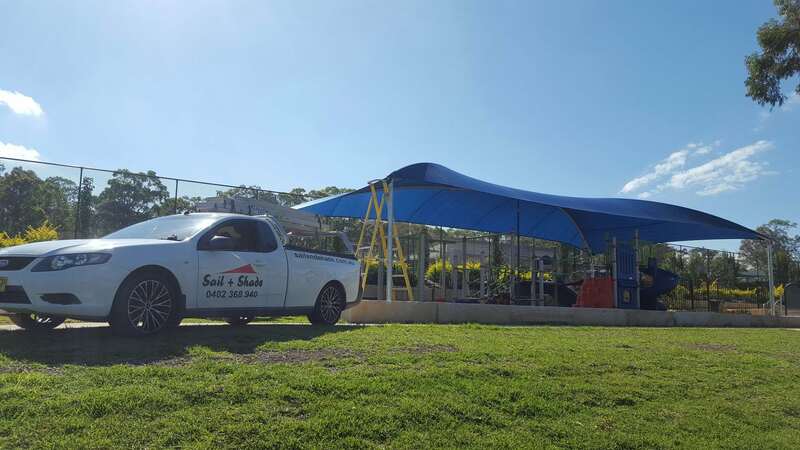 Sail + Shade create durable, attractive shade structures to protect you from the sun’s potentially harmful rays. With a properly constructed shade structure we can enjoy the outdoors when it is sunny all year round. Our structures make your environment more versatile and they create a modern, high-tech feel to your outdoor setting. Our shade structures have been effectively used to protect playgrounds, outdoor tennis and basketball courts, and car parks, and add a modern touch to garden and outdoor weddings. Our sun shades can be customised to your specifications – we can easily address considerations like wind resistance and dimension limitations of the area. Additionally, all of our shade structures come with full UV protection.